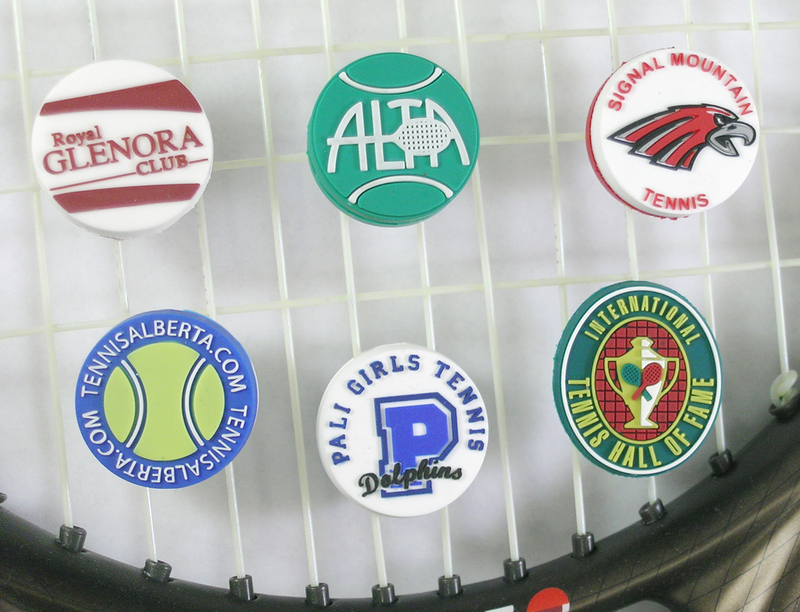 Custom String-a-ma-jigs are great for tennis teams, leagues or companies who want to reach the tennis market. We can put your logo on a string-a-ma-jig in full color. The minimum order is 100 pcs and they take about 4 weeks to manufacture. You approve the design and about 4 weeks later, we ship you your custom vibration dampeners! For a written quote and review of your artwork - please fill in the form below. A description of what you'd like on the dampeners (include instructions for both sides).